Geographical Indication (GI), as a form of intellectual property, has witnessed renewed interest due to the famous Indian sweet known commonly as “Rasgulla”. Until recently, GIs were in the shadow of their wider-known Intellectual Property family that comprises patents, industrial designs, trademarks and copyright. GIs are a sign used on products that have a specific geographical origin and possess qualities or a reputation that are due to that origin. The GI tag assures the customer of the quality and uniqueness of the product due to its place of origin. Coming to the GI grant for “Banglar Rasogolla”, the applicant is the West Bengal State Food Processing and Horticulture Development Corporation Limited (WBSFP & HDCL). The examination report for the GI application raised several objections against the grant of the GI tag. The examiner submitted that the government may not be the applicant. Further, the examiner requested reports of the physiochemical and microbiological parameters of the product, along with its texture, viscosity and brix content in the syrup. Further, the report suggested that the Association of Producers should be the applicant, with the West Bengal State Council of Science & Technology acting as a facilitator. The examination report asked for a logo of the GI product for better identification and protection of GI rights. The examination report also requested for the demarcation of the area of production of the product which indicates a map of the territory, region or locality wherein the product is manufactured. The Applicant, WBSFP & HDCL, submitted a response for the examination report wherein it stated that it is an autonomous body registered in 1986 under the Registrar of Companies. It also stated that its main objective is to help in promoting the development of Food Processing Industries in West Bengal through support to entrepreneurs and artisans. The Applicant also responded that it felt that the Association of Producers group is not capable of handling critical issues of GI registration and implementation. Hence, it chose to remain as the GI applicant, along with authorizing the Patent Information Centre of West Bengal State Council of Science & Technology for the filing and prosecution of the GI application for “Banglar Rasogolla”. The Applicant collected samples from three shops in West Bengal and provided them to examining bodies for analysis. The Applicant submitted analysis reports that described the physiochemical and microbiological parameters of the “Banglar Rasogolla” that were provided by the West Bengal Public Health Laboratory, Kolkata. The Applicant also attached analysis reports of the texture and brix content (sugar content) of the sugar syrup, which was examined by the West Bengal University of Animal and Fishery Science, Kolkata. According to the reports, no starch was found to be added to the chhana (curdled milk) as an adulterant, thus ensuring the unique quality of Banglar Rasogolla. Further, the sucrose content of the sugar syrup was found to be within the range of 34-45% by weight. The “Banglar Rasogolla” was also found to be softer, with a soft texture and better chewiness when compared to Rasogollas originating from other states. The Applicant submitted the logo and geographical origin of the “Banglar Rasogolla”. The Applicant also submitted that nearly one lakh shop keepers manufacture a total of close to two crore (twenty million) “Banglar Rasogolla” per day. Subsequently, after submitting the response to the examination report, the GI for “Banglar Rasogolla” was granted to the WBSFP & HDCL on November 17th, 2017. News reports has cited a “feud” between two states over the GI for Rasogolla. However, it is to be noted that West Bengal received a GI only for “Banglar Rasogolla”, namely, Rasogolla from Bengal. Hence, other variations of Rasogolla originating from other states may still get a GI tag based on their product. The Delhi High Court was recently approached by toy-maker Mattel Inc. (the Plaintiff), the manufacturer of “Barbie” dolls. It had come to their notice that the makers of the Hindi movie “Tera Intezaar” had included a song called “Barbie girl” in their movie. Consequently, Mattel sued the producers of the movie for Trademark infringement of “Barbie” and requested the High Court for an ex-parte injunction to restrict the release of any version of the movie that includes the aforementioned song. Mattel is the owner of the “Barbie” trademark in India for multiple classes of goods. The issue pointed out by Mattel in their allegation is two-fold. One issue is the alleged trademark infringement by the use of the word “Barbie” in the song. The second issue put forth by the Plaintiff is the alleged dilution of the Plaintiff’s “Barbie” trademark. The Plaintiff alleged that their trademark was repeated multiple times in the song while the actress performed dance steps inspired by a Barbie doll. Further, the Plaintiff alleged that their trademark was included in the song merely to increase the commercial aspects of the movie. The Plaintiff also alleged that dilution of their trademark had occurred through the suggestive lyrics of the song, which feature an actress who is a prominent figure from the adult entertainment industry. The Plaintiff further contended that the contents of the song and its video are provocative, inappropriate and unsuitable for children, especially young girls, which has resulted in the tarnishing and degrading of the quality of the trademark “Barbie”. The Plaintiff requested the Delhi High Court to grant an “in-camera” ex-parte hearing, wherein the case would be recorded instead of taking place openly. This request was refused by the Court on the grounds that ultimately, the dispute would become public and media reporting cannot be prevented. The Delhi High Court also advised the parties to chill. This rather informal suggestion was replicated from a 2002 United States Court of Appeals judgement, regarding a similar infringement allegation of the “Barbie” trademark. This case involved the famous song “Barbie girl” from the Danish band “Aqua”. The Plaintiff, Mattel, had sued the Defendants, a music company, over allegations similar to the current case. Initially, the United States District Court denied relief to the Plaintiff by reasoning that the use of the “Barbie” mark in the song was not an infringement of the toy manufacturer’s trademark associated with the doll. The District Court further stated that trademark rights do not entitle the owner to nullify an unauthorized use of the trademark by another entity who is communicating ideas or expressing points of view using the trademark. Further, the District Court stated that the trademark owner does not have the right to control public discourse merely because the public imbues the mark with a meaning beyond its source. Hence, the music company’s use of “Barbie” was not an infringement of the trademark. Upon appeal, the Court of Appeals requested the Plaintiff and Defendants to chill, or calm down in other words. The Delhi High Court too stated the abovementioned matter. Further, it also quoted the Supreme Court’s decision in Nachiketa Walhekar Vs. Central Board of Film Certification as follows: “It is worthy to mention that freedom of speech and expression is sacrosanct and the said right should not be ordinarily interfered with. … An artist has his own freedom to express himself in a manner which is not prohibited in law and such prohibitions are not read by implication to crucify the rights of expressive mind. …. The Courts are to be extremely slow to pass any kind of restraint order in such a situation and should allow the respect that a creative man enjoys in writing a drama, a play, a playlet, a book on philosophy, or any kind of thought that is expressed on the celluloid or theater, etc.”. Interestingly, the Delhi High Court also mentioned that granting an ex-parte order may send a wrong signal to the public at large. The Judge kept in mind on-going issues concerning another movies, which have been in the news recently over demands by one section of the society for banning it. Additionally, the Judge concluded the matter by stating that the plea may be considered at the notice stage. Thus, it remains to be seen what further steps are taken by the Plaintiff in this regard. The Intellectual Property Appellate Board (IPAB) in Chennai made an announcement on November 15, 2017, regarding filling up vacant posts. The positions are for a Vice-Chairman and for Technical Members for Trademark, Patent and Copyright. The IPAB was set up for a speedy disposal of Intellectual Property disputes by transferring the jurisdiction of High Courts on certain matters to the IPAB. It is under the administrative control of the Department of Industrial Policy and Promotion (DIPP), which falls under the ambit of the Ministry of Commerce and Industry. The IPAB is responsible for hearing appeals from the decisions of the Controller of patents and trademarks, among others. The Technical Member of patents aids in adjudication of appeals against the decision of the Controller, and resolves patent revocations along with a Judicial Member. On one hand, the filling of these posts will result in increased appointments for hearings and faster disposal of disputes that reach the IPAB. However, the filling of the posts may also turn out to be a double-edged sword due to current issues related to the appointment and removal criteria of the IPAB and other tribunal boards. The crux of the issue arose when the Department of Revenue of the Ministry of Finance notified in the Gazette of India, the Tribunal, Appellate Tribunal and other Authorities (Qualifications, Experience and other Conditions of Service of Members) Rules, 2017. These Rules stated new processes for the appointment and removal criteria of persons in the IPAB and other Tribunal Boards. As per the Rules, the selection committee for posts of Chairperson, Vice-Chairperson and Judicial Members of the IPAB consists of the Chief Justice of India or his nominee, Secretary (DIPP), a Secretary to be nominated by the Central Government, and two experts to be nominated by the Central Government. The selection committee for the posts of Technical Members (Trademark, Patents or Copyright) on the IPAB consists of a member who will be nominated by the Central Government to act as the Chairperson of the Selection Committee, Secretary (DIPP), a Secretary to be nominated by the Central Government, and two experts to be nominated by the Central Government. As evident, the selection committee for the IPAB posts of Chairperson, Vice-Chairperson, Judicial Members and Technical Members comprises a majority of government-elected executives. Additionally, the removal criteria stated in the Rules places the power of removing the Judges of the IPAB into the hands of the Central Government. The controversy lies in the fact that, despite the IPAB being a judicial body, the judiciary does not have a considerable role in appointments or removal of persons from the IPAB. The lack of judiciary independence in the running of the IPAB and other tribunals due to the Rules, has resulted in about six challenges before the Supreme Court and four challenges before the High Courts at Delhi, Madras, Bombay, and Gujarat regarding the same. In past judgements, the High Court and the Supreme Court have repeatedly clarified that the selection committee for appointing persons to the IPAB must be balanced with members from the judiciary and executive, instead of a majority from the executive. Further, any Legislation that does not comply with this decision would be struck down as unconstitutional. Thus, any appointments to the IPAB by the current selection committee according to the Rules would seem unconstitutional and may result in the subsequent overturning of the appointments. Further, since such appointments may be unconstitutional, the cases adjudicated by the appointed persons may face litigation from the involved parties that may allege injustice. Hence, the DIPP would be well-advised to carefully consider whether the time is right for making the appointments for the above-mentioned vacant posts in order to prevent further troubles. The Copyright Office recently announced the relocation of their office to Boudhik Sampada Bhawan, which is home to the Indian Patent, Trademarks and G.I. offices. It appears that the Copyright office has completed the physical and logical transfer to the Department of Industrial Policy and Promotion (DIPP). The Copyright Office until recently was under the jurisdiction of the Human Resource Development (HRD) Ministry. However, the IPR policy released in May 2016 announced that the administration of the Copyright office was to be brought under the aegis of the (DIPP). The DIPP was previously responsible for Intellectual Property Rights relating to Patents, Designs, Trade Marks and Geographical Indication. Hence, it seemed logical to consolidate the administration of all IP-related offices under a single administrative entity for uniformity in decision-making and administration. However, the real effects of this transfer on the Indian IP scene remain to be seen. I hope you found our news useful. The Enforcement Directorate (ED) raided the Mumbai offices of major Indian music companies – Universal, T-series, Sa Re Ga Ma and YRF Music, on Friday the 3rd, for non-payment of royalties and laundering the royalty money into investments. The raids were made in relation to a case against two entities that handle licenses in the Indian music industry, namely, the Indian Performing Right Society (IPRS) and the Phonographic Performance Limited (PPL). Chitra Singh, widow of ghazal singer Jagjit Singh, had filed an FIR with the ED naming IPRS and PPL. Script writer Javed Akhtar too had made a complaint about non-payment of royalties. The ED began investigations into allegations of money laundering derived from non-payment of license royalty. IPRS is a copyright society that issues licenses for public performances, while PPL is a copyright society dealing with sound recordings. The two copyright societies are embroiled in various legal issues. One of them concerns the legality of these companies being allowed to issue licenses under the Indian Copyright Act. Another legal issue concerns the non-payment of royalty and subsequent money laundering. According to investigations made by the ED, IPRS had assigned their rights to issue licenses and collect royalties to PPL to share revenue. However, PPL allegedly indulged in fraudulent activities and did not pay IPRS their due royalty. The ED is a specialized financial investigative agency that enforces the Prevention of Money Laundering Act, 2002 (PMLA). The music industry companies collected royalty from consumers and were entitled to pay 50% of the collected amount to music composers and lyricists. However, this money was supposedly used by different people in other investments. What makes the case noteworthy is that the fraudulent activities concerned are said to involve amounts up to Rs 1,500 – 2,00 crores (USD 230 million to 307 million). The ED teams have apparently seized several incriminating documents pertaining to the records of royalty collections over the period and its fraudulent use. These documents will be gathered from Kolkata and Delhi to identify a money trail. It remains to be seen whether these companies will be allowed to continue issuing licenses, and what happens of the royalty that is rightfully owed to the composers and lyricists. InvnTree and Computer Society of India (Bangalore Chapter) have come together to conduct a workshop that addresses various nuances involved in patenting computer related inventions in India. The details corresponding to the same are provided below. The number of software companies in India has been consistently increasing over the years. In the past, most of these companies provided software services. However, India has steadily moved up the value chain, resulting in a plethora of software product companies. Consequently, companies have been concentrating on innovation gain competitive edge over products of local and global competitors. Competitive advantage based on innovation largely depends on how well the innovation can be protected, and there lies opportunities and challenges. Patent protection is one of the most preferred options, and in many cases the only practical option to protect innovation in the computer and software domains. Patent protection of innovations in the computer and software domains has its peculiar challenges. These peculiar challenges have given rise to misconceptions, largely in the tech community, that inventions in the software domain cannot be patented. Adding to the challenges, different jurisdictions including India, US and Europe have developed varying frameworks for determining subject matter eligibility of software inventions. In view of the foregoing, the workshop aims at providing an in-depth knowledge about eligibility criteria for patenting software inventions. Further, the workshop will provide a comparison between India, US and Europe in the context of software patenting. Kartik Puttaiah | Founder | Patent and Trademark Agent | InvnTree IP Services Pvt. 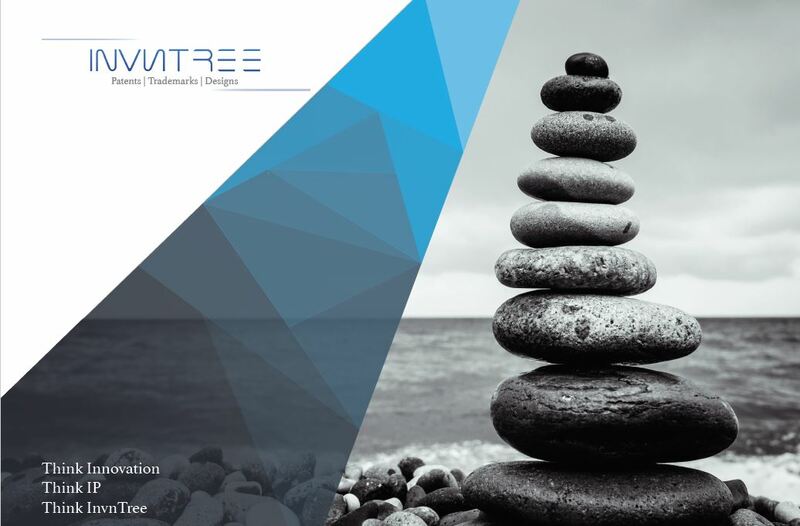 Ltd.
Kartik is the co-founder of InvnTree. He has over eleven years of experience in patent consulting and is proficient at providing patent services in technologies related to manufacturing, automation engineering, medical devices, software engineering, and telecommunication engineering. His decade-long patent practice has made him an expert in securing patents, advising on patent portfolio development and mitigating IPR related risks. His counsel is especially sought after in hearings before the Indian Patent Office due to his impressive track record of successes there. Kartik is a popular speaker at IP conferences and often delivers instructive talks on topics ranging from IP policies to the practical aspects of patent practice in India. Apart from delivering talks at conferences and seminars in India, he has enjoyed delivering speeches at conferences in the USA, Japan and South Korea. CSI Bangalore Chapter, Unit No.201, 2nd Floor, MB Center, 134, Infantry Road, Bengaluru – 560 001. Payable at State Bank of India, B1, Cross Road, MIDC, Andheri(E) Mumbai – 400 093. The Controller General of Patents, Designs & Trade Marks (CGPDTM) signed a Cooperation agreement with the Director General of World Intellectual Property Organization (WIPO) on October 5th, 2017 at Geneva, Switzerland. This Cooperation treaty enables the exchange of data such as priority documents between the Indian Patent Office (IPO) and the WIPO, using WIPO Centralized Access to Search and Examination (CASE) and WIPO Digital Access Services (DAS). The WIPO CASE system enables patent offices to share search and examination documents related to patent applications in a secure manner. This allows patent examiners from different offices to share examination results and thus increase the efficiency and quality of their work for patent applications that are filed in multiple offices. The WIPO DAS system enables IP offices to securely exchange priority documents and certified documents through an electronic system. Traditionally, while filing applications in multiple offices, applicants had to request certified paper copies of documents from one office and submit them to another. However, the WIPO DAS allows applicants to a) request the first office to make the priority documents available; and b) request other offices(s) to retrieve those documents using DAS. The offices can then use DAS to electronically transfer or exchange the required priority documents. The DAS provides an easy, secure and inexpensive system to quickly transfer documents between offices. Once implemented, this agreement will greatly benefit the IPO as well as patent applicants by streamlining the process of getting a patent. The Union Cabinet has given its approval to the Memorandum of Understanding (MoU) between India and Sweden on cooperation in the field of Intellectual Property Rights (IPR). The MoU is aimed at establishing a wide ranging and flexible mechanism to exchange the best practices and to work together on training programs and technical exchanges to raise awareness on IPR and to improve protection of IPR in both the countries. According to the press release by Ministry of Commerce & Industry, Government of India, a Joint Coordination Committee (JCC) will be formed with members from both countries to decide cooperation activities to be taken up under the MoU. The MoU enables India and Sweden to exchange their best practices, experiences and knowledge on IP awareness among public, businesses and educational institutions, and to organize training programmes, exchange of experts, technical exchanges and outreach activities. The MoU also aims at dissemination of information and best practices in protection, enforcement and use of IP rights among the industry, universities, R & D organisations and Small and Medium Enterprises (SMEs) through training programmes and events. The countries will also exchange information and best practices on IP infringement in the digital environment, especially regarding Copyright issues. Furthermore, both the countries will cooperate in automation and implementation of modern documentation and information systems for IP management. The countries also aim to understand mechanisms for protecting traditional knowledge. Through the MoU, India has taken yet another initiative to participate as a major player in global innovation, as framed in its objectives of National IPR Policy 2016. This exchange of best practices in IPR between the two countries is expected to result in improved protection and awareness about India's range of innovations. Goodwill in a trademark is built over the years by making sustained investments into the brand. After having made these investments over the years, a trademark that cannot be enforced to the fullest desirable extent is certainly a setback. One such class of trademarks that has inherent limitations as to its enforceability are names of gods. Names of gods are commonly used as trademarks in a variety of businesses in India. While some of these trademarks may have been registered, others continue to be used as unregistered trademarks. Whether registered or unregistered, enforceability of such trademarks remains a challenge. We have analyzed a case concerning one such trademark, in which judgement was passed recently, to explore the angle of registrability and enforceability. The Bombay High Court recently passed a judgement in a case between Freudenberg Gala Household Product Pvt. Ltd (hereinafter “Gala”) and GEBI Products (hereinafter “Gebi”). Gala started using a trademark “LAXMI” in respect of its product, brooms, in the years 1995. Gala subsequently applied for and obtained registration of the trademark “LAXMI” as a “label”. Notably, “LAXMI” is the name of a popular Hindu goddess. Gebi, on the other hand adopted the trademark “MAHA LAXMI” also in respect of brooms. “MAHA LAXMI” is another name of the same Hindu goddess “LAXMI”. The primary question before the Court was whether the registered label mark “LAXMI” was infringed by Gebi by the usage of the trademark “MAHA LAXMI” in respect of identical goods, brooms. The Court ruled in favor Gebi. In this case, succinctly put, in-principle Gale contested that the scope of protection of its registered label trademark extends to the words within the label, and not just the label as a whole. Over and above that, since the word within the label is the name of a god, Gale sought monopoly over usage of name of a god as a trademark, expressed in whichever form, with respect to a certain class of goods. It is well established that, where a label is registered as a whole, such registration cannot possibly give the proprietor of the trade mark exclusive statutory right over any particular word or name contained therein apart from the mark as a whole. Registrar of Trade Marks vs. Ashok Chandra Rakhit Ltd. The Court applied well established principles while dealing with label/device marks, to compare the registered label mark of Gale as a whole and the mark adopted by Gebi as a whole, to find that Gebi’s mark was not infringing on the label mark of Gale. With respect to usage of name of gods, the Court prima facie found substance in assertion that names of gods are not exclusive and such words cannot be monopolized by one party. The Court further opined in the same context that claiming and protecting the label mark is different than to claim monopoly over a common word. In conclusion, adopting names of gods as a trademark may be a risky proposition. Even if one has adopted such a mark, one may be able to register the mark as a label or device, and registration of the mark as a word mark as such may not be feasible. Further since exclusive statutory rights may not be claimed over such words, enforcement remains a challenge. I hope the article was interesting.